I’m behind with keeping this updated, I know. Fangirling is hard work :-) I spent the morning of Day 04 still in Bremerhaven. I had a stroll around the musuems harbour and along the shoreline of the bay leading up to the sea and was grateful that Frank’s booking agent had scheduled the dates this way, so I could be by the seaside for a little while. 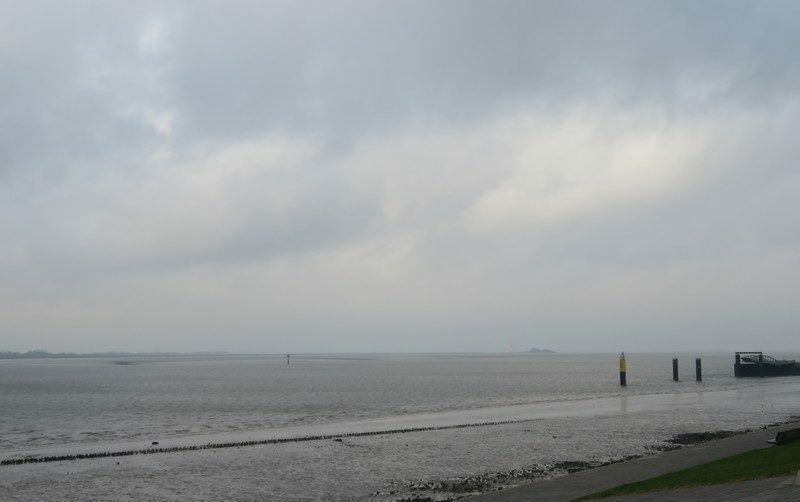 The rest of the morning / noon I spent at Klimahaus Bremerhaven and I had a wonderful time. Very informative and interesting and definitely worth a visit. The gig in Bremen was another good one. A warm and sweaty one until they turned on the air condition a bit. I was a bit sentimental, because we were back in the venue, where I had seen them for the first time during the Tape Deck Heart Tour in 2013. Five years later this was my 37th show and I don’t plan to stop doing this anytime soon. We managed to catch all of the band later at the bus as well, or to be honest, some came back out from the bus to greet us. Thanks for that guys, it’s always a pleasure. Sleep: Almost 7 hours. Yay! Breakfast: 6/10. A solid, typical, German hotel breakfast. Stops on the road: No. Random trivia: People in Northampton obviously don’t like people from Milton Keynes. Wind farms along the road: I forgot to count them to be honest. Songs from my 10 songs list: None. Most surprising moment: Hearing Frank Turner’s “I Still Believe” on speaker in the Klimahaus shop. Songs that surprised me: Love Forty Down. Journey of the Magi. Words that suprised me: Tarrant talking in German again. If he does that again (or is forced to do it again) I’ll consider it a tradition. Been More Kind? 7/10 I hope I can say that. Not too many unkind thoughts towards anyone.